Welcome to our Ischia blog, Good Morning Ischia! Here you can see the entry for Wednesday 5th February 2014. Just a very brief update for today so that you at least know we're still here! It's been a mixed day with some nice sunny spells mixed in with a few showers this morning and this afternoon. Right now it's nice and dry while tomorrow should be even better. Today's temperatures have been a maximum of 15° Celsius (58° Fahrenheit) and a minimum of 12° Celsius (54° Fahrenheit) this evening. We've had a very light wind and again there's been no threat to any of the ferry or hydrofoil services. Today's photo is of the Albergo Parco delle Agavi in Forio, nicely nestled between the beach on one side and Mount Epomeo behind it. 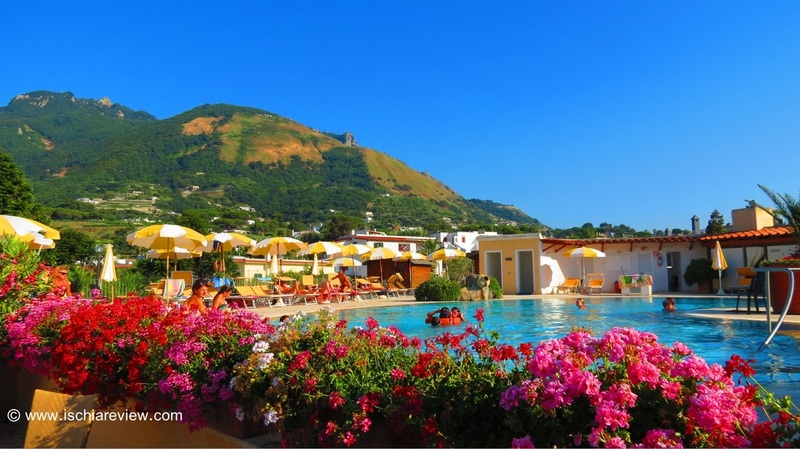 The four star hotel is one of hundreds we have listed on the site and we welcome e-mails from anybody who's looking for an honest and unbiased opinion on any accommodation you're looking in to in Ischia right now. We'll give you all of the practical information you need to help you make a wise choice dependent on your own particular needs. Ok that's all for today, I'll be back with more tomorrow.